The 650mAh Emergency Pen Shaped Power Bank is really a clever idea. At 650mAh, it is not very strong, so it is exactly what is claims to be, backup power so you can make that needed call. We all know how powerbanks work, so let me move ahead to why we like the 650mAh Emergency Pen Shaped Power Bank. It is a neat, compact, and I think stylish design. The metallic casing gives it the look of a high quality pen. And although it does not write with ink, the designer was clever enough to add a stylus to the design, so it will write on screen. 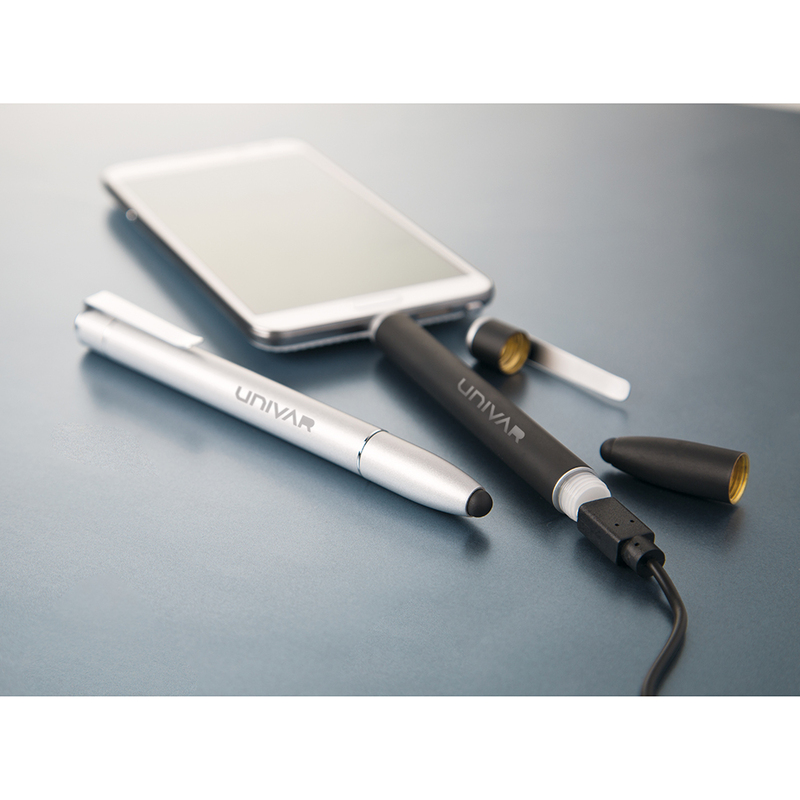 The obligatory pen clip makes the 650mAh Emergency Pen Shaped Power Bank easy to keep at hand in a pocket or travel case. And since it follows a pen’s design, it has a nice H 1/4″ x W 1 3/16″ imprint area for your company logo, website, etc. The 650mAh Emergency Pen Shaped Power Bank is a little short of 6in, at 5 5/58 with a diameter of 1/2. They come in silver, black, and blue. Again, nice design, clever idea. I only wish they would have named it with a little more pizzazz. Please contact us at info@proformagreen.com if you would like more information on the 650mAh Emergency Pen Shaped Power Bank.